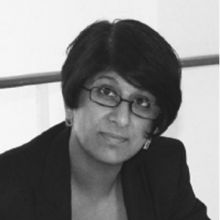 Neesha joined Meinhardt Façade Technology as Associate Director in the UK in 2013 bringing her experience of 10 years façade engineering at whitbybird/Ramboll and prior to that as a project Architect. Neesha has worked on a number of major façade projects in the UK and the Middle East and her knowledge of façades is backed up by a true understanding for Architectural aesthetics. Neesha has broad experience as a team manager and project runner as well as having a good comprehension of Regulations, Building Control and CDM for the UK as well as having experience of International requirements for projects carried out outside the UK. Neesha has experience in various aspects of façade design, including curtain walls, glass walls, rainscreens, rooflights, stone and precast cladding in various sectors including commercial, residential, public, educational and retail. Neesha also has experience in reviewing existing building for refurbishment.